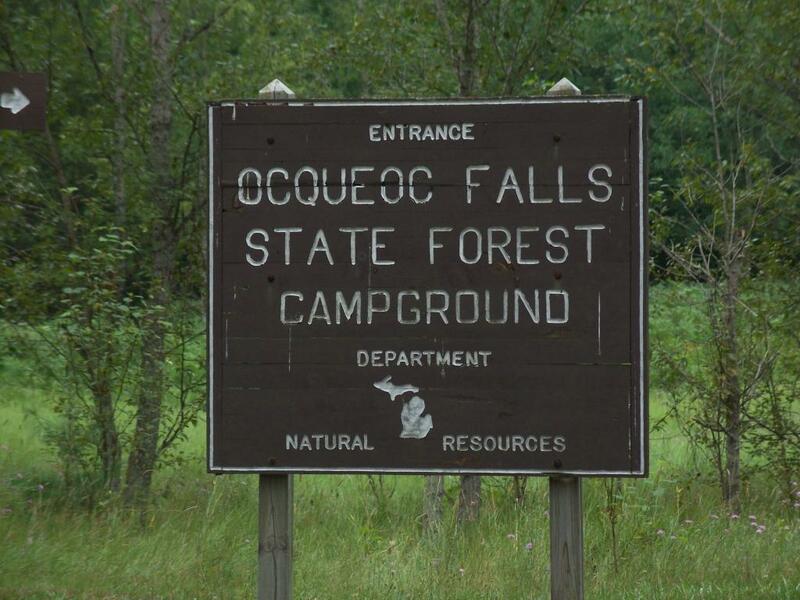 Ocqueoc Falls is the largest waterfall in Michigan's Lower Peninsula and the only universally-accessible waterfall in the United States. Ocquoec provides approximately six miles of hiking, biking and cross-country skiing opportunities with three marked loops. 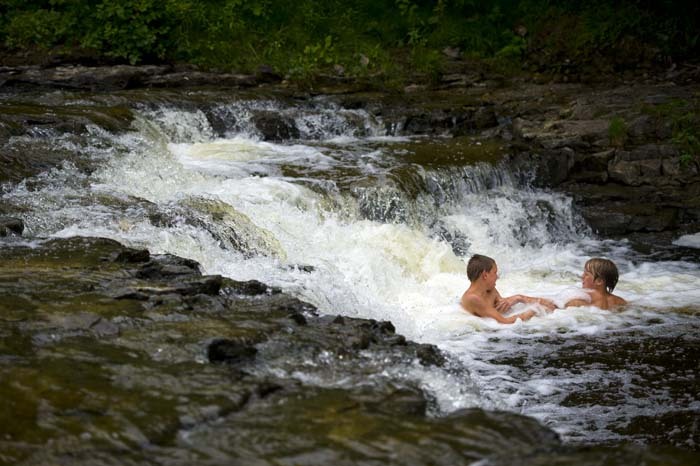 After hiking the trail, take a swim in the falls! At this site, you can see where the Ocqueoc River has cut a channel through the limestone bedrock that underlays the entire region. During spawning season, you can see the salmon actually swim through these underground channels. The remnants of an old mill race can be seen just above the falls. 15 sites for tent or small trailers use. 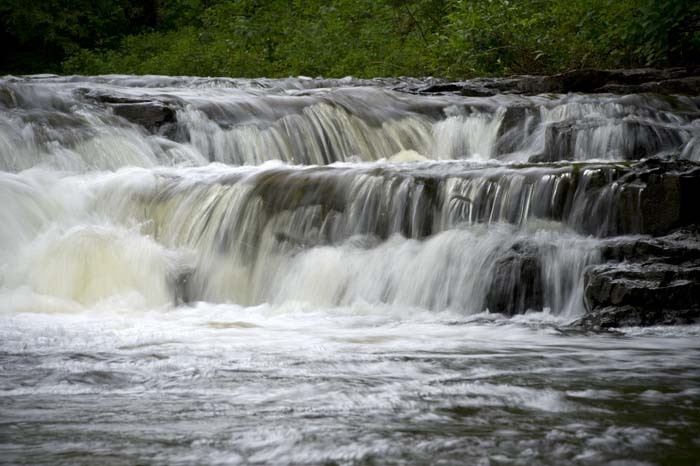 Be sure to take advantage of good steelhead and trout fishing from the campground. Rustic campground includes vault toilets and potable water from well hand pump.